Although I sometimes get a little frustrated with my job (who doesn’t), it does present me with some unbelievable opportunities and the past few weeks has been a great example of this. Having spent a week working in Instanbul last week, I’m now working in Shanghai for the week and on to Shenzhen next week. Although I’ve had to deal with the frustration of some flight changes, I am having an awesome time here. Shanghai is China’s largest city by population, and, in fact the world’s largest city by population with almost 18m inhabitants. The second largest is Instanbul. Tick. Tick. Because of this, I was expecting it to be fairly expensive. And, for China, I believe it is. However, from a local convenience store this evening, I bought a bottle of water, 3 bottles of 660ml beers, a tub of ice cream and a cornetto all for under CNY 25. That is the equivalent of USD 4.10 or GBP 2.56. Given all of the western press surrounding China and its secret and oppressed ways, this city seems to be just as “westernized” as any UK or US city I have been to. Yes, there is poverty, but the city centre area (the massive area of it) is awash with hotels, skyscrapers, shopping districts, restaurants and bars. There are newspapers available every morning, and information is readily available in stores and on the news. I think that a lot of my ideas about China have just been exaggerated by the western media. In reality, it seems very different. Well, not as I knew it. The dishes are nothing like I have ever had in a Chinese restaurant in the west. Hairy crab, shark fin, snake and bullfrog are just a few things we have tried so far. There is no sweet & sour chicken, egg fried rice or any other of these western “classics”! I haven’t been tempted by some of the other options that we have seen though (although I think some is certainly lost in translation). “Giant fish head soup”, “Really fatty beef” and “Unsalted intestinal health” have been some of my favorites so far! And, the exciting this is that I have still got the weekend to come. Does anyone who has been to Shanghai before have any good suggestions? Wow, great photos and the fact that you get to travel with work sounds amazing! What you bought from the local store sound quite cheap. For that little lot over in the UK, you’d be paying around £10 I should think! It’s all relative though isn’t it for the people living and working in Shanghai. I used to live in Shanghai. My parents were there from 2005-2010 and I lived there through 2005-2007 (then I repatriated for college and visited during Christmas and summers). The city changed so much in the five years my parents lived there, and yes, it is very Westernized. However, if you get out of the city center you’ll see a lot of poverty that is unlike most we have in the US. You’re spot on about costs. It’s expensive in China, but still pretty cheap compared to other countries. If you get to Japan next then everything in China will feel like a huge bargain. The kuai (RMB) was pretty cheap to USD when I lived there, so everything seemed like a great deal. Plus, all the black markets really honed my negotiation skills. P.S. I always crack up about what Americans think “Chinese food” is. Did you notice fried rice isn’t brown either? They don’t add soy sauce. This is great that you have an opportunity to travel for work! 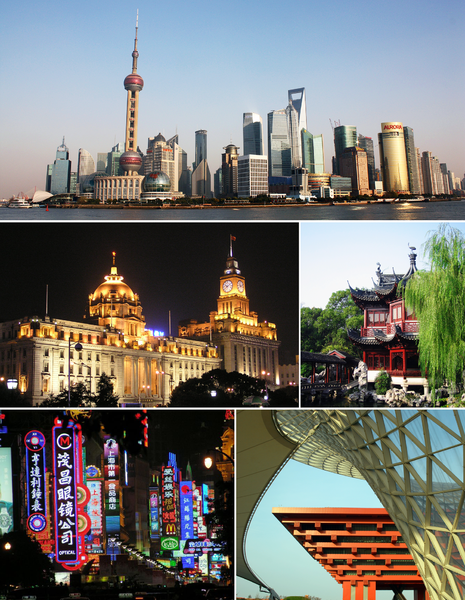 Shanghai looks and sounds like an awesome city, and it’s very high on my to visit list along with Beijing. Enjoy your time there! I had a good laugh about how they don’t serve “Chinese food” there! As a big fan of Sesame Chicken, Ginger Beef and all Western Chinese food I was a little shocked with the food choices in SE Asia. I have to say that I did really enjoy the food while I was in China, Hong Kong, Cambodia and Macau. Enjoy the work related travel! Graham, looks like you had a great time in Shanghai, that is one place I will have to visit, my brother spent some time there and said it one of the greatest spots on earth.